The Converse Blog: 'S Weapon Wednesday: Lady Weapon. In recent years we've seen Converse use the Weapon as a base for some other shoes, like the Weapon Skate and the Poorman's Weapon. 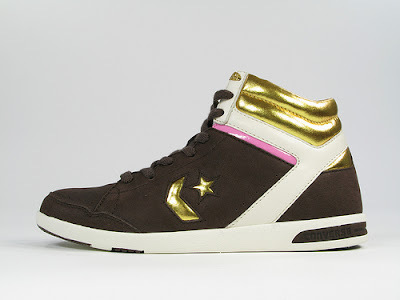 Later on this year we'll see them do it again with the release of the Converse Lady Weapon. This picture comes from Schroeder + Schoembs. I see a lot of potential with this version of the classic Converse sneaker. Hopefully I'll have some more information and colorways to pass your way soon. Thanks for Checking out the Converse Blog!